I have been looking around at this site for a while and I have made the decision to try and find a nice 911 to add to my stable. I am not new to the Porsche world, I previously owned a 1980 911SC which I sold 18 years ago when my daughter was born. Well she is off to college on a full 4 year scholarship and I realize now I can get myself a 911 again. My daily driver is a 1986 Mercedes 300sdl with about 101,000 miles on it, and my weekend classic is a 1967 VW Beetle that I have restored. It is a very nice car and I even have A/C in it. I used a kit from ICE. Anyway, I work on all of my vehicles myself, I live in NE Louisiana and will continue to read daily and search the Cars for sale area. Ideally, I would like a 911SC or 911 Carrera early to mid 80's. I really enjoy all of the posts and look forward to letting you know the day I find one and start playing with one again. I am also a MBCA and BMWCCA member, hopefully soon to become a PCA member. Any good leads in finding a great car, just drop me a line. John, I'm pleased to be the first to welcome you to this, the absolute best forum on the Web for aircooled 911s--most particularly if you DIY, which you do. I would ferociously advise you to look on the classifieds on this site for a car, then solicit the opinion of the car from the users on this technical board. If it's a known pelican, you'll be lucky to get the car--in fact, I think doug&julie have a targa SC for sale but it may be pending. Anyway, I know there are others from LA. So welcome and don't be shy. PS. Love the color of the bug--we had a 1961 just like it, minus the flashy wheels.. Damn You Shane. I Was First! Welcome! Great bug, how long did it take you to restore? Welcome, great looking bug and good luck on your search. Thank You for the welcomes!! 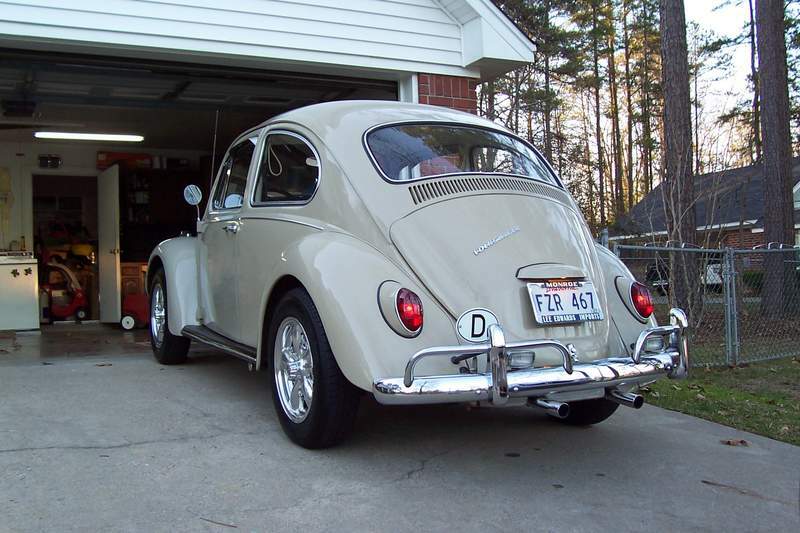 I purchased my Beetle in 1996 and spent about one year restoring it. I am the second owner. It has the original pans in it including under the battery. The engine was shot and had to be replaced with a long block. I updated my cooling fan and oil cooler to the 70's version but I stayed with single port heads. I have a stock Solex carb and a stock vacuum advance distributor with points and condenser. I have found it runs better this way. I added an A/C kit form ICE utilizing a Sanden rotary compressor, two condensors, and underdash evaporator/fan unit. It cools very well in the hot humid climate here. Interior was stripped except for original headliner and bright white seats, door panels, and oatmeal carpet. Everything looks stock on the car except the wheels. I always had a thing for EMPI 5 spoke wheels on a bug. I drive it on nice days, normally it sits in the garage. My search for a 911 is on. It will be a nice weather car also, and a weekend machine. My prior 911sc was a Euro 1980 model purchased from a retired Colonel in the Army who brought the car over from Germany in 85. Nice car, no A/C, no sunroof, sport suspension with 16" wheels, cloth seats, electric mirrors and windows, tinted glass, auto heat. I drove it for 2 years and then my daughter was born and I thought that I needed to sell it and settle down. I have regretted that decision ever since. Thanks for the welcome. I will keep you all posted on my find. I hope I find a nice car here on Pelican, so that I may use all the advice of the members here. Welcome! Lotsa patience to get the right one..........this board will become the most important tool in your shed! Welcome, my first car was a 1963 Beetle. I spent many hours with John Muir's how to keep your Volkswagen alive. I wish I still had that car. I sold a mint 84 RX7 when my daughter was born cause I thought I had to. Also a mistake. A car seat would have fit in there just fine. 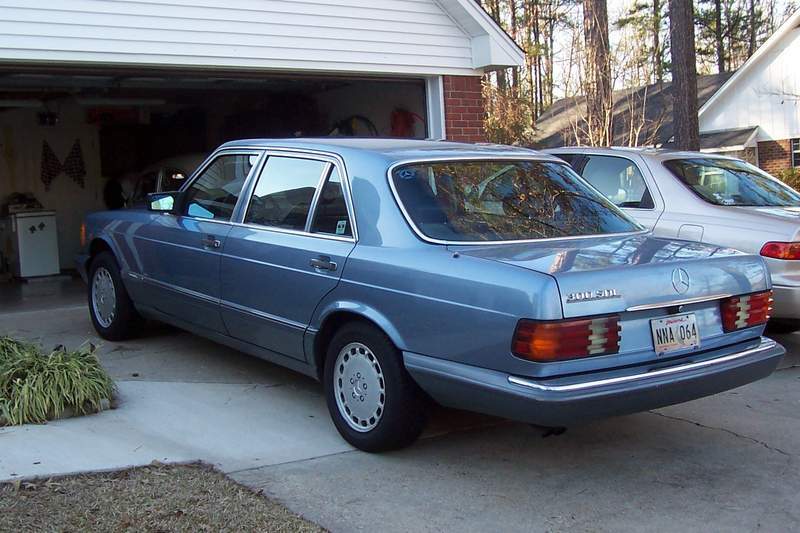 My 83 SC is a Euro car. Have fun with your search and again welcome. I've learned a ton on the various forums here and met some really nice people in the Porsche community.